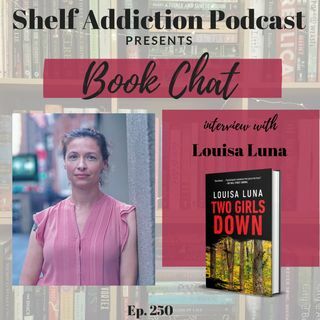 Tonight on BOOK CHAT, I’m interviewing author Louisa Luna. She shares what she’s currently reading and what authors have influenced ... See More her. We also talk about her book, Two Girls Down. Don't forget to check out Louisa’s lightning round Q&A at the end of the interview! Pick up copies of the book(s) mentioned during the interview!